Situated in the beautiful Berkshire countryside, the Crab at Chieveley is a boutique hotel with an award winning seafood restaurant. 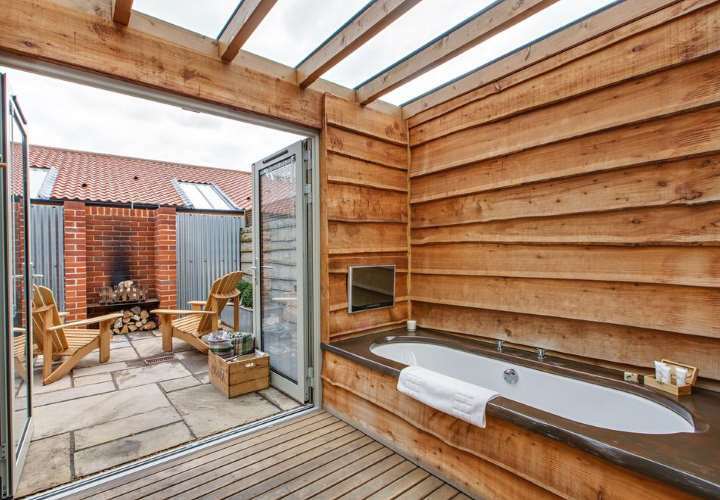 Some rooms feature outdoor hot tubs and private gardens! 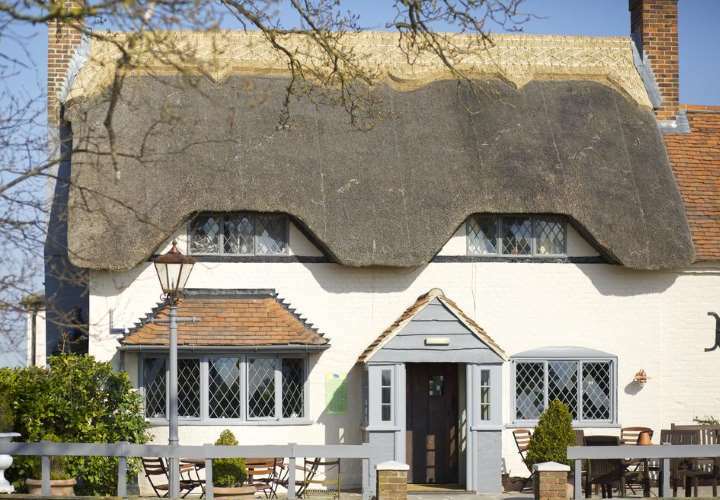 The Nags Head is a 4 Star AA rated Inn situated in Great Missenden, Buckinghamshire. A traditional 15th Century pub & inn positioned along the scenic valley of the River Misbourne in the Chiltern Hills. Awarded UK's top six winners for "Accommodation of the Year 2011" & "Food Pub of the Year 2011" by The Publican Magazine. 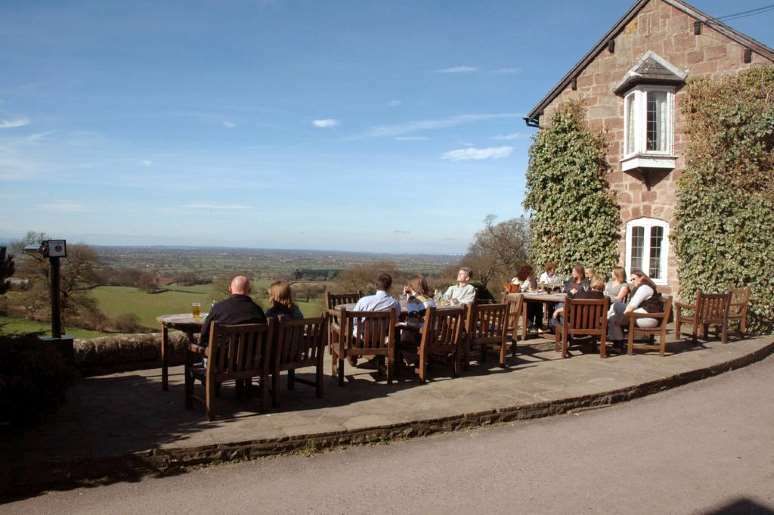 The Pheasant Inn is a 5* AA rated inn featuring panoramic views across the Cheshire plain. 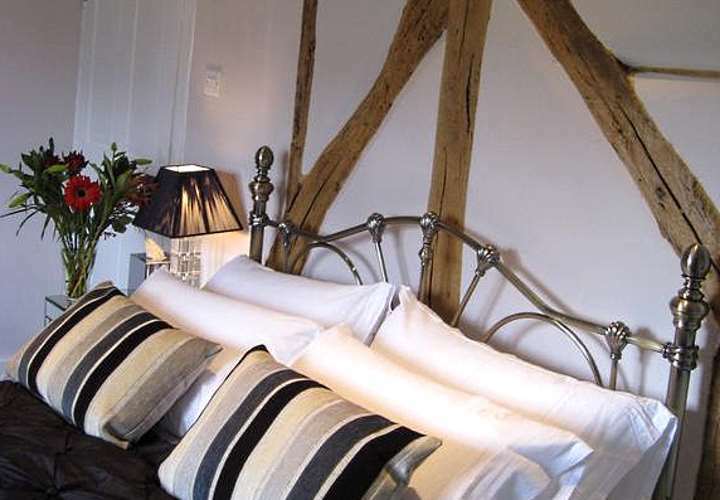 Serving superb food, fine ales and well chosen wines, the inn also offers cosy, well appointed country style bedrooms. Within easy reach of Chester. Perched almost a thousand feet up, this beautiful silver-stone Georgian rectory is situated in the Shropshire/Welsh hills, an area of unspoilt natural beauty. Set in five acres of grounds, the Hotel prides itself on its unobtrusive hospitality, first-class fresh and healthy cooking and an easy-going atmosphere that guarantees that "away-from-it-all" feeling. Pen-Y-Dyffryn offers superb accommodation including some bedrooms with private patio from which to admire the stunning views. The Superior Bedroom has a double spa/whirlpool bath. Jamaica Inn provides a relaxing, comfortable night's sleep in both the original 1750’s part of this coaching inn and in the newer wing. All rooms have en-suite bathrooms and most have full length baths. For that romantic break, some rooms feature glorious four-poster beds. A stay in the old part is a magical, romantic and mysterious experience. Just make sure you don't sit in our resident ghost’s favourite chair though! Weddings ~ Where could there be a more memorable and more romantic place to marry than at the world famous Jamaica Inn, high on the wild and beautiful Bodmin Moor? We already have the perfect venue for up to 100 guests overlooking the moor, or an outside marquee option for up to 70. Our magnificent new function suite for up to 250 guests will open in 2015. This major new venue for Cornwall and Devon will be a large, high roofed circular room with panoramic windows giving breath-taking views over Bodmin Moor. Set in a conservation area, at the foot of a valley with its picturesque cove and tiny harbour, Portloe is part of the beautiful Roseland Peninsula and possesses an unrivalled beauty and enduring timelessness. 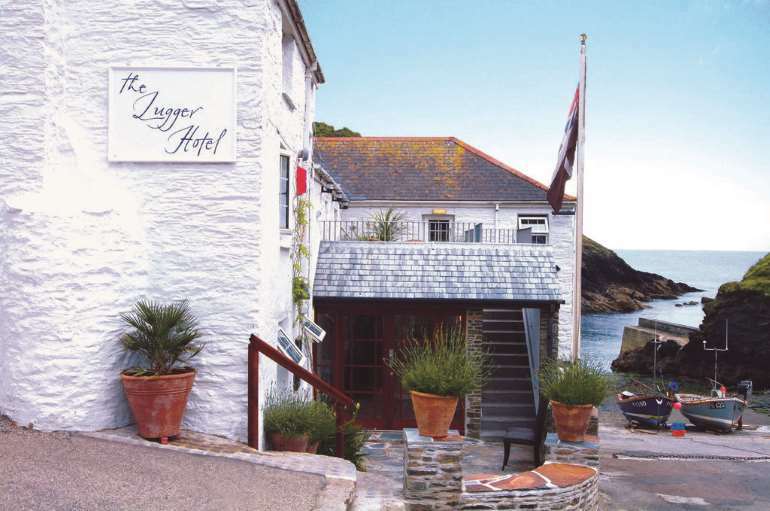 The Lugger has been transformed following a major renovation programme. The twenty bedrooms have been tastefully decorated encompassing classical elegance and traditional comfort. Luxury baths and deluge showers offer the optimum in relaxation. Our restaurant serves typical British cuisine alongside locally caught seafood and fish dishes. 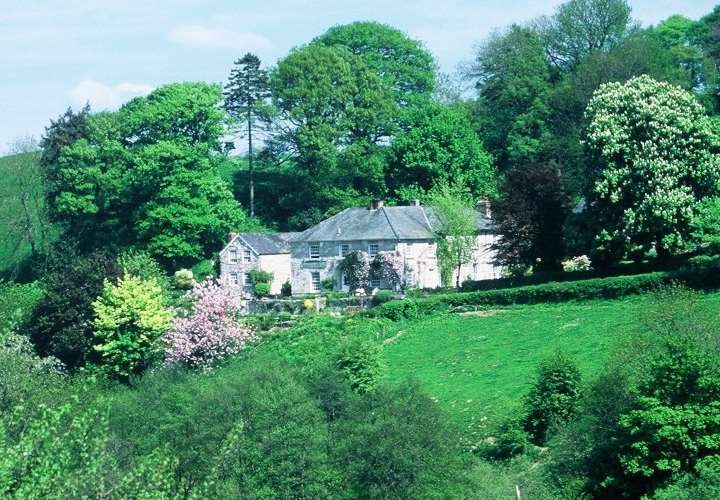 Churston Manor Hotel, nestling beside the ancient church and farm is in a time warp and listed Grade 1. This is a historic gem with original stair cases, stone windows, and oak panelling and flagstone floors. 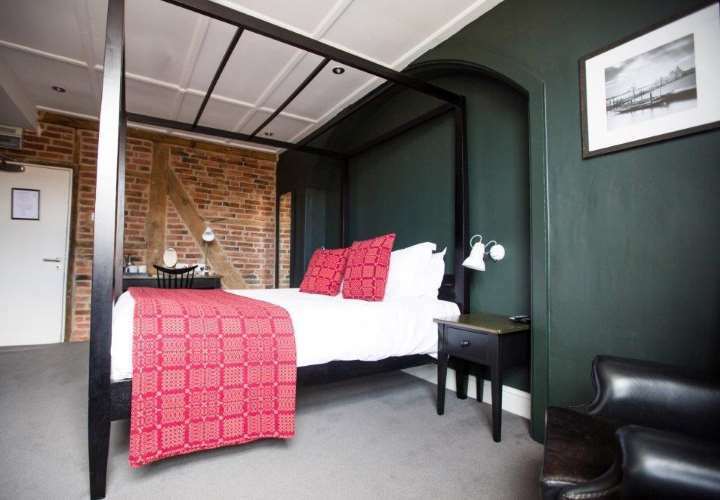 The inn has 20 ensuite rooms all finished to a very high standard, some with four poster beds. 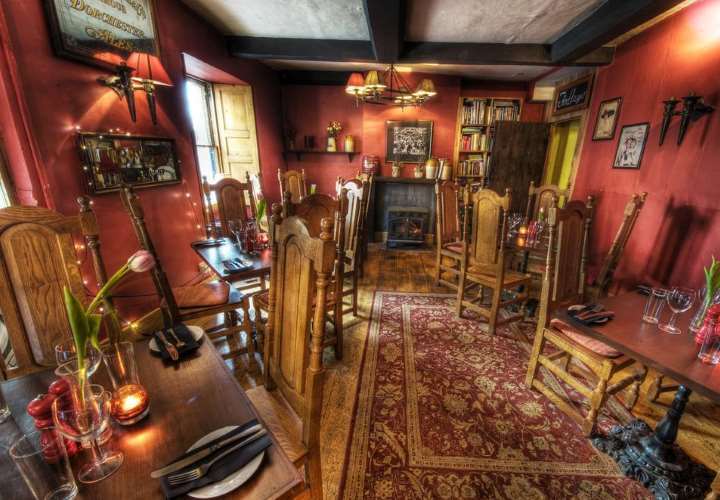 Have a romantic candlelit dinner by one of the great inglenook log fires. The cuisine has received the highest tributes for its culinary excellence. All the produce used is purchased fresh each day with the fish from our local Brixham fishing fleet. 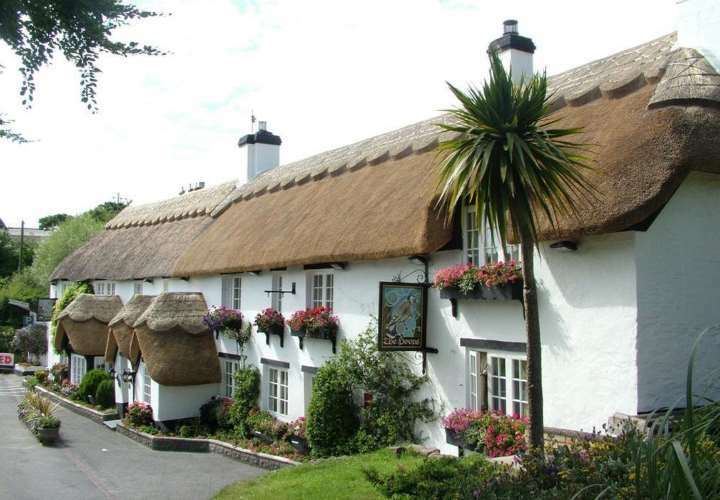 The Hoops Inn is a 13th century thatched inn steeped in history and full of character. Superior rooms feature antique four-poster or half tester beds and the Mallow suite also has a gorgeous double spa bath! Standard coach house rooms are well furnished and are all en-suite, overlooking the gardens or courtyard. The excellent food is cooked using local produce, complemented by an extensive wine list and a range of local real ales and cider. Food is served in the restaurant, bars and also in private dining rooms. Walk directly onto the coastal path from the hotel car park. 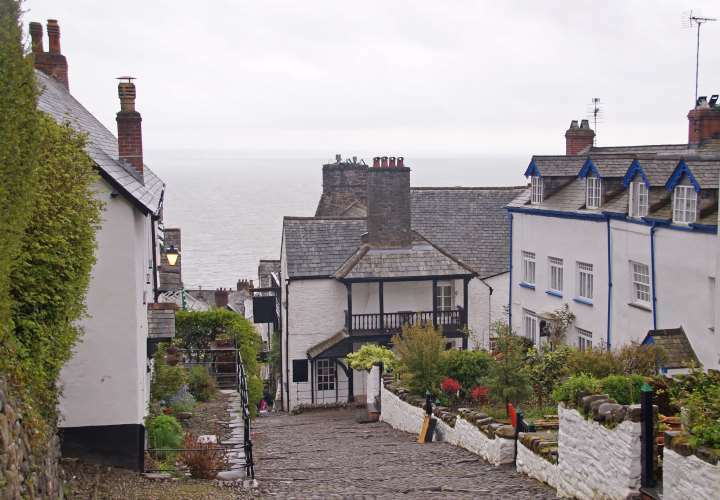 The 17th century New Inn is hidden deep within the cobbled streets of the picturesque and historic village of Clovelly. Lovely bedrooms, rare views and a wonderful atmosphere are offered to guests. In this traffic-free village, luggage is portered in by a sledge - a short break paradise. The Two bridges Hotel is a country house hotel set in a stunning riverside location within its own 60 acres of private grounds, watch out for the geese ! 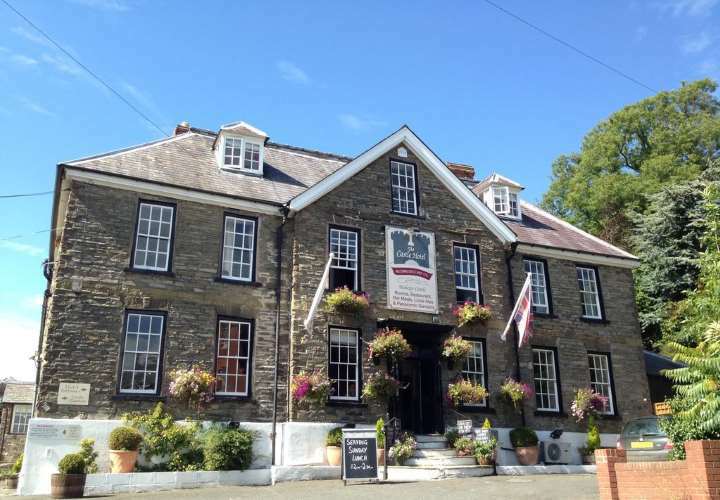 Beautiful bedrooms with views across Dartmoor, many with four poster beds and double spa baths. Enjoy the wonderful cuisine served in The Tors AA Red Rosette Restaurant, the emphasis is on using seasonal local fresh produce. 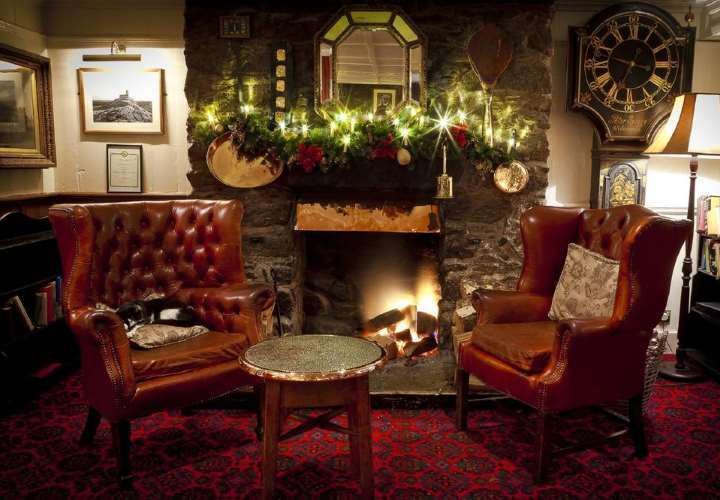 Relax in the cosy lounges in front of the blazing log fires. Enjoy being pampered at this oasis at the heart of Dartmoor just 20 minutes from Plymouth and 45 from Exeter. Built around the famous South Zeal Menhir Standing Stone, this 12th century former monastery now boasts an AA Rosette awarded Restaurant alongside beautiful bedrooms decorated with antiques and retains original features like stone walls and wooden beams. The Griffin Inn has been at Fletching, a beautiful unspoilt village with a fine Norman church, for over 400 years. The Griffin has two acres of superb gardens and boasts one of the best views in Sussex, looking towards Sheffield Park. The terrace is ideal for eating outside in fine weather. The menu, which combines the best of modern British and Mediterranean influences, changes daily and wherever possible the food is locally sourced. Most of our thirteen beautiful bedrooms have four poster beds and exquisitely appointed Victorian bathrooms. 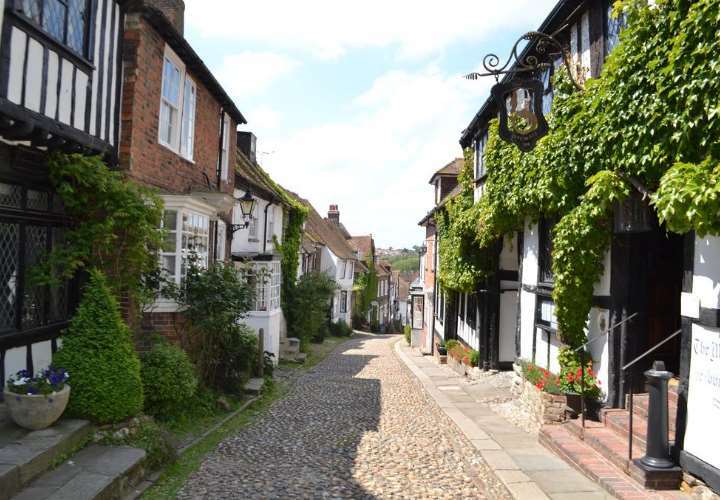 One of England's oldest and loveliest inns, with Norman Cellars dating from 1156, the Mermaid, rebuilt in 1420, offers tradition and charm in abundance. A jewel in the crown of Rye, the inn has a wide range of accommodation including rooms with four-poster beds and fascinating secret passages. The lounge bar boasts of one the largest open log fireplaces in the country. The AA Rosette restaurant offers fine British and French cuisine and the head chef is proud to use only the freshest of local ingredients. For many years The Mermaid has been frequented by artists from the stage and screen: Charlie Chaplin, Pierce Brosnan, Andy Garcia and Johnny Depp to name a few. Queen Elizabeth, the Queen Mother and Prince Edward have also visited. 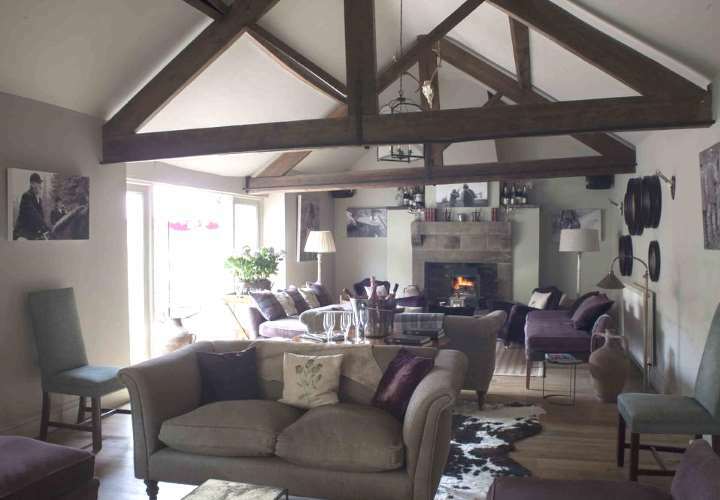 The Gibbon Bridge Hotel offers superb, luxury accommodation and is perfectly situated in the beautiful Forest of Bowland. Many bedroom suites boast whirlpool baths, four-poster, half tester or Gothic beds. 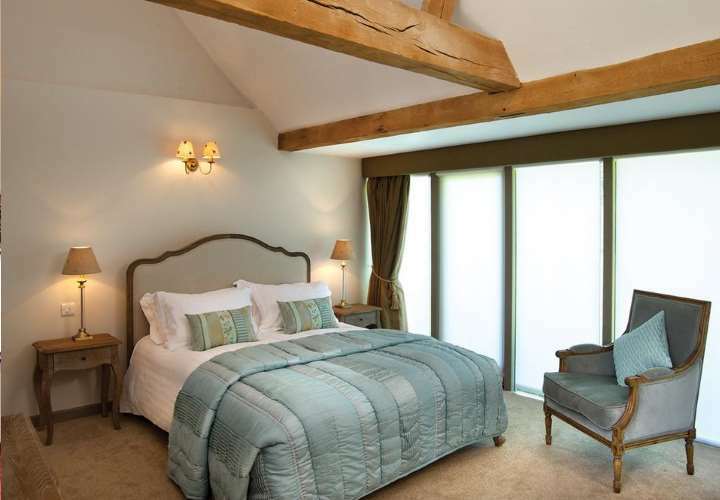 The Staple Oak Suite features its own secluded garden, wood-burning fire, private lounge, whirlpool bath and wooden beams, perfect for a romantic break. 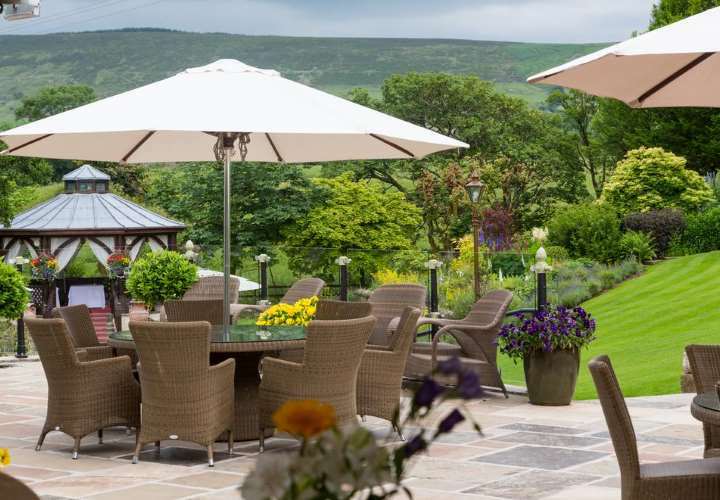 The restaurant offers fine dining, with fantastic views of the gardens and Longridge Fell. Awarded 'Lancashire Hotel of the Year' at the Lancashire Life Food & Drink Awards 2010-2011. 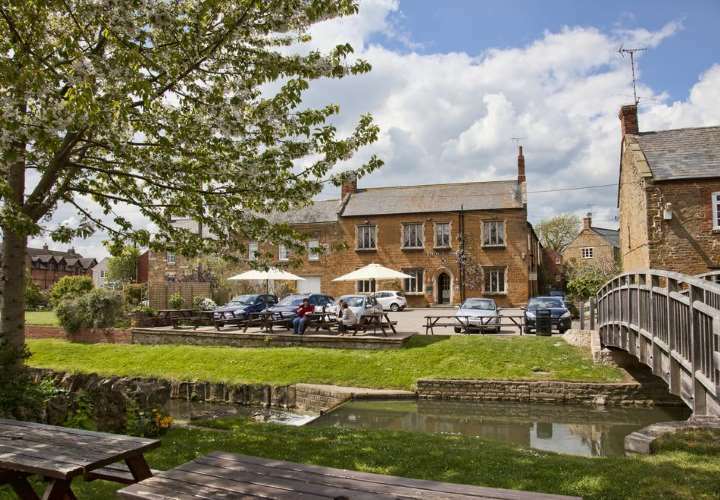 Set in the pretty village of Medbourne in the beautiful Welland Valley, this Grade II listed inn offers eight individually styled en-suite rooms including a four poster room, a stylish restaurant, good pub food and cask ales, an open terrace and garden by the tranquil river bank. 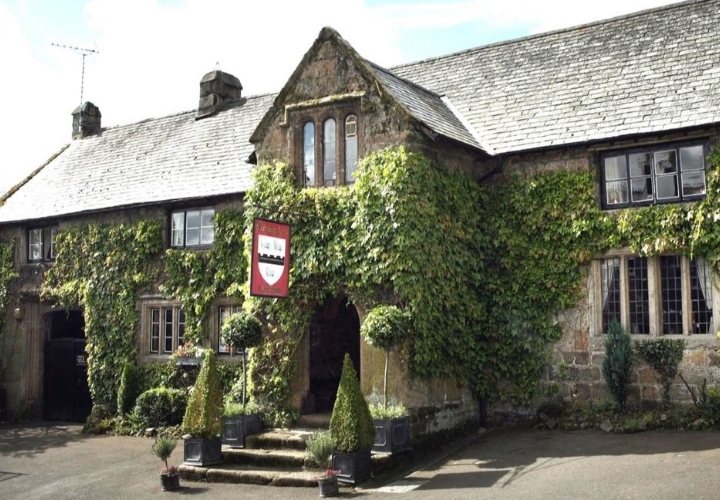 The Neville Arms Inn has been sympathetically renovated and retains many original features such as oak beams, leaded stone mullioned windows and an inglenook fireplace. VisitEngland 4 Star Inn. This inn just oozes history and charm. After a recent renovation and restoration, the beauty of this building is for all to see including 300-year-old solid oak beams and solid granite wall and bar. The bedrooms are beautiful designed with private outdoor hot tubs. Luxurious bedrooms, superb food and a cosy bar serving real ales and homemade lemonade await at this 17th century country pub, 30 minutes drive from Norwich. Our bedrooms combine period features with 21st century facilities. Some rooms also have a sauna and patio with fire pit. There are also lovely gardens, a childrens playground, free WiFi and free parking. The Castle Hotel is located in a quiet square in the small market town of Bishops Castle, midway between Shrewsbury and Ludlow. In the heart of the Shropshire Hills there is much to explore, both in Shropshire and neighbouring Wales. It is surrounded by great walking country including Offa's Dyke and The Long Mynd. The 13 lovely en-suite bedrooms are individually furnished, some with lovely views of the town, hills or garden. There is a choice of eating venues, each with its own character and all serving food that is flavoursome and fresh. The extensive wine cellar, supplemented by some fabulous award winning local vines from the Kerry Vale Vineyard, located just up the road from The Castle Hotel. 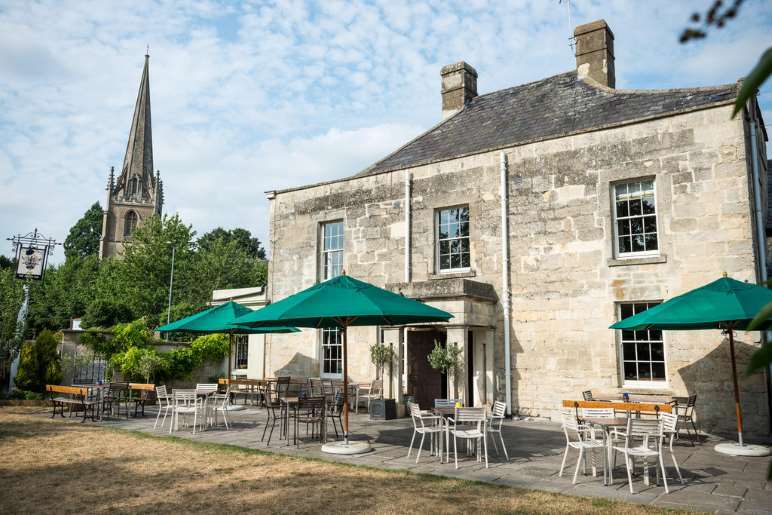 The historic Old Bath Arms Hotel is situated in Frome in Somerset, just 30 minutes drive from the city of Bath. Come inside for good company, drinks and great food including a tapas and paella menu as well as traditional pub grub and Black Rock steaks. After renovation this beautiful 18th century building now boasts four superb brand new en-suite bedrooms as well as restaurant areas, lounge, real ale bar and outside deck for al fresco dining. AA 5 Star Restaurant with Rooms. 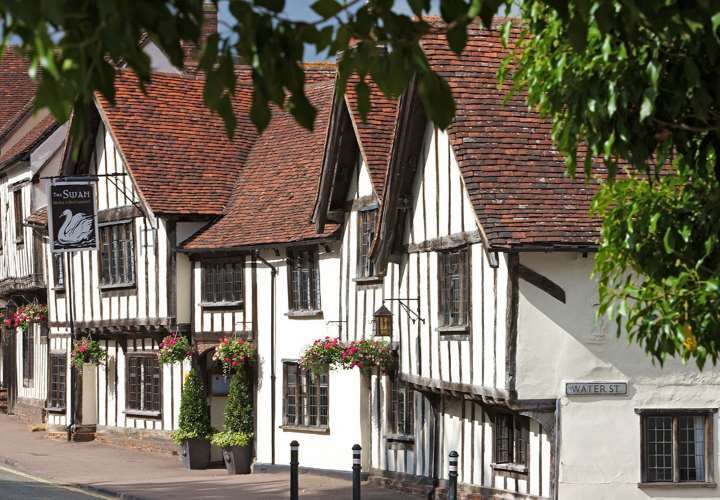 This authentic small luxury boutique hotel in the middle of the medieval village of Lavenham offers some of the best accommodation in the county and outstanding food. 3 AA Rosettes for Food. 2009 East of England Restaurant of the Year' Which? Good Food Guide '2009 Britain 'Restaurant with Rooms of the Year' The Good Hotel Guide. 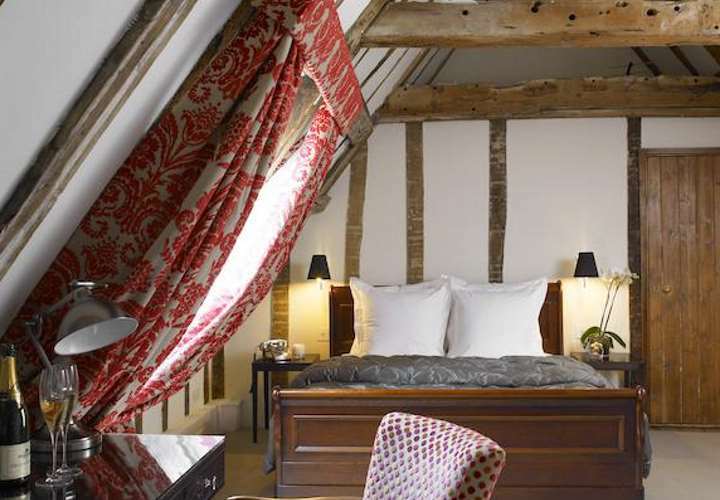 Authentic small luxury boutique hotel in the middle of the medieval village of Lavenham that offers some of the best accommodation in the county with outstanding food. This Georgian Hotel is the idyllic Suffolk retreat in a stunning location between two fine stately homes, with antique and craft shops just a walk away in the popular town. Relax in the exquisite individual en-suite bedrooms with enormous beds, soft robes and handmade toiletries. Sensational food is served in our restaurant, recently voted the best in Suffolk, or choose the cosy bar with blazing log fire or dine al fresco in the walled Victorian garden or patio overlooking the famous green. Wherever you dine the menu is the same and the dining has been awarded an AA rosette. 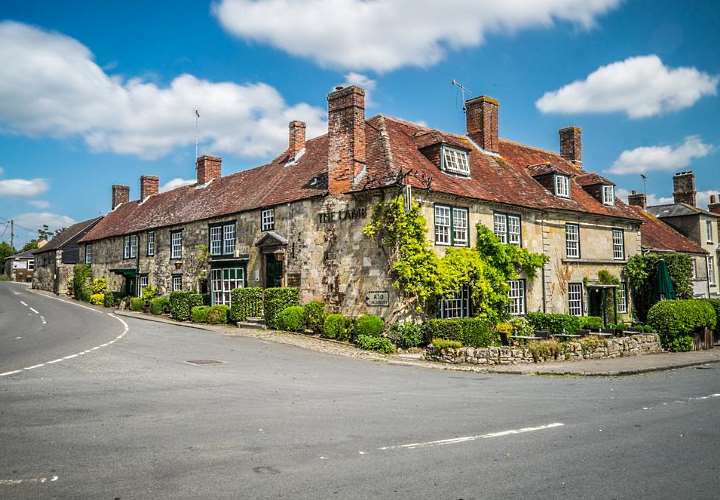 Awarded Great Britain’s Most Excellent Inn 2010 by Condé Nast Johansens and 5 Stars Highly Commended by the AA, The Crown Inn, Chiddingfold is a stunning 600 year old Coaching Inn, positioned on the Green of one of Surrey’s most beautiful villages. Less than an hour from London, 20 minutes from Guildford but far enough away to appreciate the joys of the country. 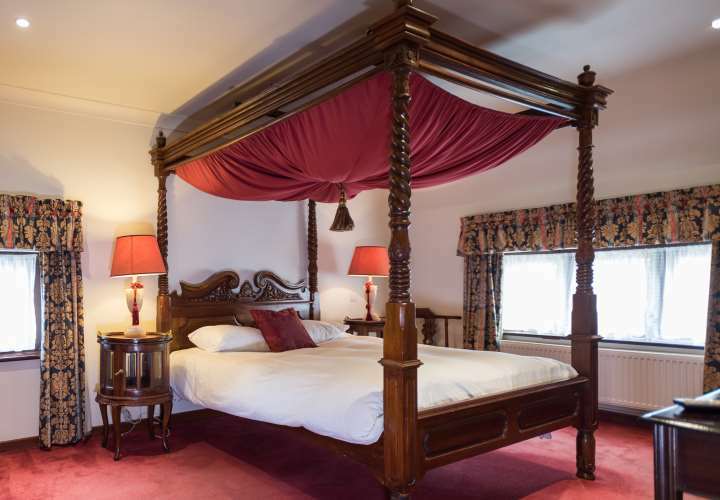 Accommodation includes 3 four poster bedrooms. All fresh seasonal à la carte and bar menu served at lunchtime and dinner. Extensive wine list accompanies a fine selection of beers and spirits. The perfect place for a relaxing romantic break. Escape to the country for a romantic break at this 16th century village inn situated in the picturesque village of Easenhall. The package which includes one nights accommodation in one of Four Poster Bedrooms featuring Spa Baths, sparkling wine on arrival, a 3 Course Dinner from our main menu and Full English Breakfast is priced at £166 / couple. 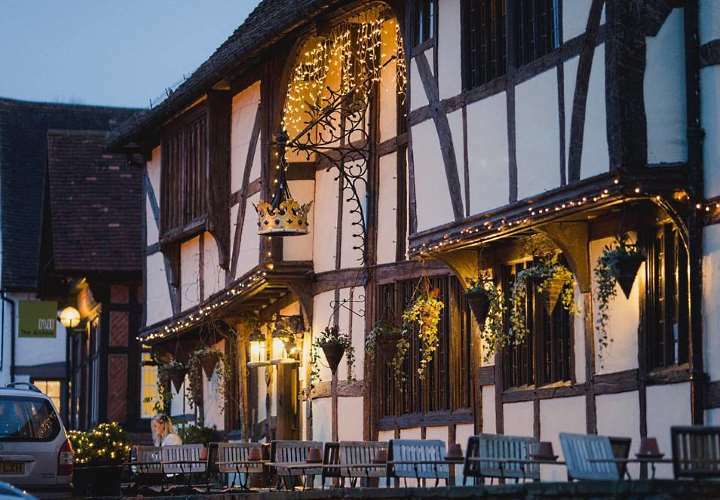 The luxurious Globe features a steak house, real ale bar and stylish rooms with free Wi-Fi and is located just 10 minutes’ walk from Warwick Castle and the Racecourse. With sumptuous decor and designer fittings, the individual rooms at The Lazy Cow have 42-inch flat-screen TVs, iPod docks and luxury bathrooms. 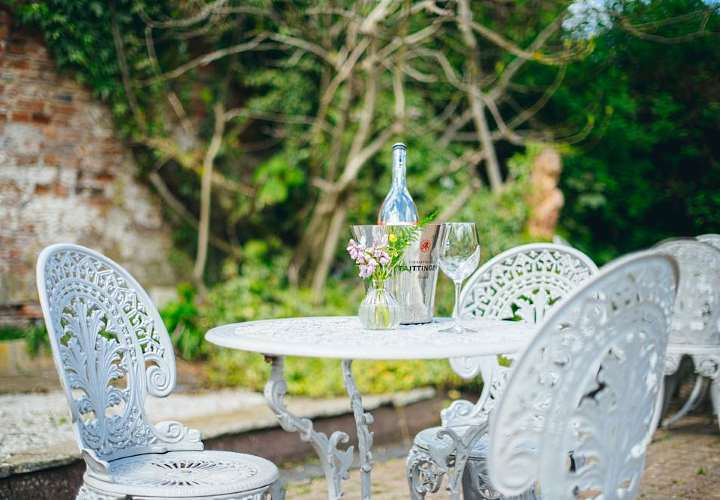 Steeped in history and conveniently placed on the A272 in the middle of the Sussex countryside lies Halfway Bridge Inn, a splendid country inn that perfectly encapsulates a balance between modern sensibility and rustic charm. Converted from an 18th century Sussex stable yard and overlooking local farmland, the accommodation comprises twin, double and king-sized bedrooms, all en-suite. Rooms display a simple elegance, furnished using a mixture of natural fibres and woods, resplendent with exceptionally soothing beds. 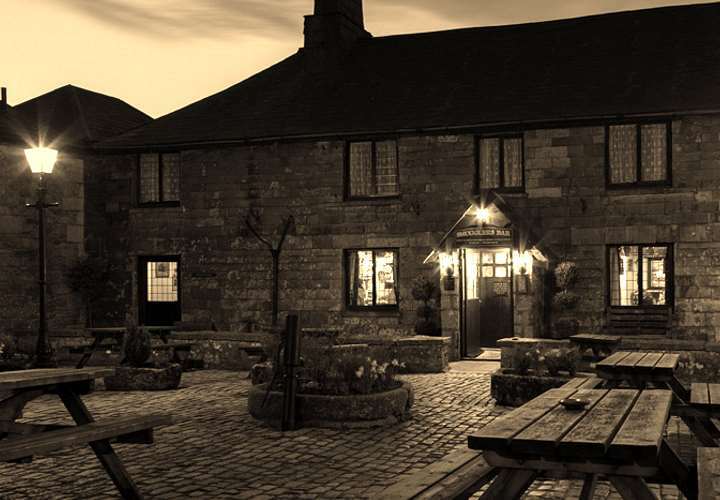 Set in the market place, the Castle Inn can trace its origins back to the 12th century. The Inn has undergone careful and considerate restoration. Great care has been taken to preserve and enhance the charm of this lovely building whilst ensuring our guests enjoy the utmost comfort and attention to detail. The hotel boasts eleven charming en-suite bedrooms, all tastefully furnished and individual in character. Oliver's Restaurant, named after Cromwell, who once took refuge from Royalist troops within these walls, promises an evening to remember. 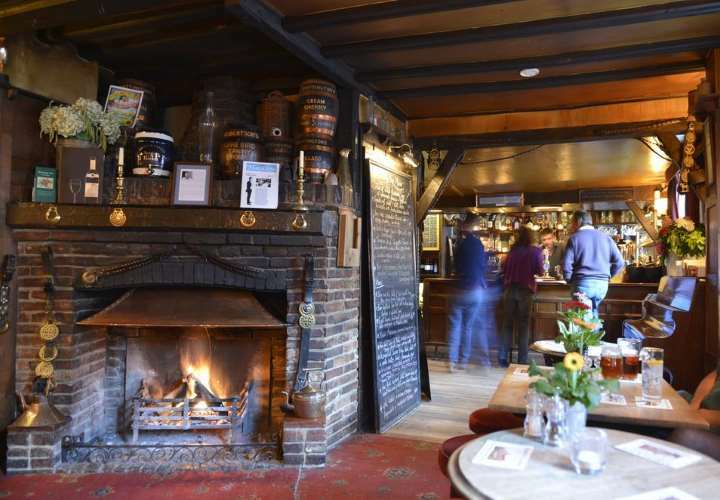 Starting life as a public house in the 12th century, the Lamb at Hindon is full of historic character with its inglenook fireplaces, wooden beams and flag stone floors. The nineteen wonderful bedrooms, five of which feature four-poster beds, are all individually decorated with antique furnishings. The luxurious en-suite bedrooms boast limestone tiles, marble, and some of the very best fittings. The inn's bar has a huge range of whiskeys, whilst the restaurant serves some of the best food in the area. 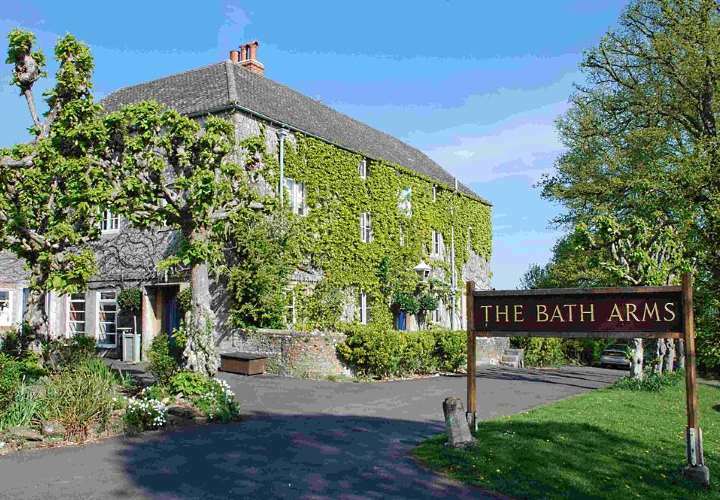 The Bath Arms at Longleat offers its visitors a choice of fifteen bedrooms. Hillbrooke Hotels commissioned Miv Watts, the noted interior designer, to create colourful and unusual rooms with distinctly individual looks, so that each room is a work of art in its own right. Our Karma Sutra room may be a little risqué for some! All the rooms have full en-suite facilities, as well as effective lighting, a range of television channels, DVD (music and visual) and broadband access. The Bath Arms has opened a new treatment room called the Hip Bath, specialising in a wide range of treatments. 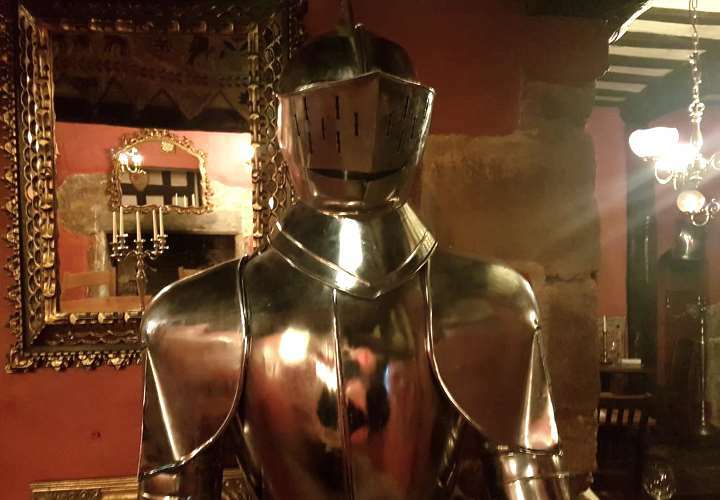 A warm Yorkshire welcome to this wonderful 16th century coaching inn. The feel you get through the whole building is exactly what a traditional inn should be, simple but welcoming. There are big comfy sofas to sink into whilst you decide what to eat for dinner. The restaurant is truly traditional and has stone flagged floors and a roaring fire in winter to create the right atmosphere, candle lit at night for extra romance (reservation to be made in advance). The bedrooms are beyond expectations, designed only with your comfort in mind. The bar is a proper bar and serves a choice of real ale from Yorkshire. AA Rosette for food every year since 1997. 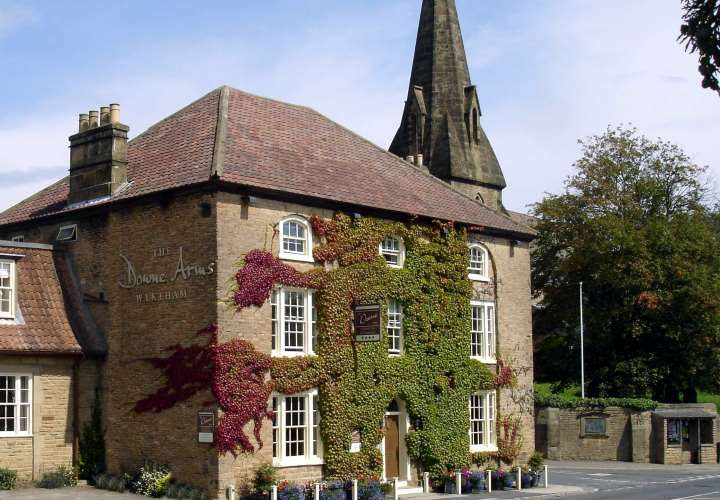 The Downe Arms Hotel sits on the edge of the magnificent Yorkshire Moors National Park, and yet is only six miles from the coast. 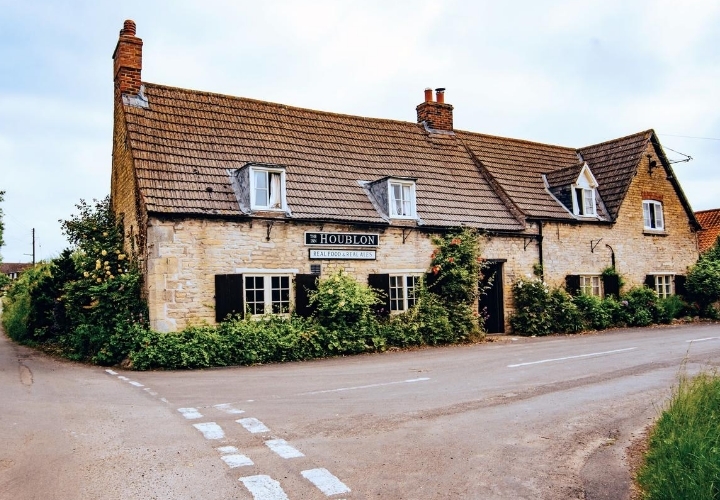 Part of the Dawnay Estates founded in 1656, this 17th century former farmhouse offers you an intimate and historical setting for that special meal or relaxing drink with friends. The Downe Arms has 11 very individual en-suite bedrooms, some with sumptuous Georgian windows others with exposed beams. Our cosy bar offers a selection of fine beers, premium bottled lagers, quality wines and spirits. Our charming restaurant is just perfect for a relaxed lunch. Or see it transformed in the evening to a cosy venue for an intimate candle-lit supper with friends, family or that special someone. Our chefs use local, seasonal produce where possible to create superb dishes, with just the right balance between international and traditional Yorkshire cuisine. Featuring some of the most romantic hotels in England, this page is dedicated to lovers! Sometimes only the most romantic destination will do. Perhaps you are looking to surprise your partner, searching for that special anniversary getaway or celebrating an important birthday. Here you will find a romantic hotel or inn to suit every taste and budget. You may even be planning to pop the question, and need a truly memorable venue. Many of the inns and hotels featured here can arrange for champagne on ice, flowers and chocolates to be delivered to your room to add that important extra touch of romance to your stay - simply request this at the time of booking. So go on, spoil that special someone in your life and sweep them off their feet with a break at one of the following romantic inns and hotels in England.